Wimbledon is one of England’s greatest sporting events. Year on year we have seen the tournament grow in visitors and viewing numbers. This can only be positive news for sponsors. So, what makes Wimbledon the world’s most important tennis tournament? The first simple reason is its longevity: it’s the oldest tennis tournament in the world, dating back to 1877. For others though its tradition, sticking to its roots. The wonderful grass courts are a symbol of the very beginnings of tennis. The foundations of the event are also built on proper tennis etiquette including only white tennis clothes and players bowing to the royal family. Oh, and let’s not forget about the strawberries and cream! For these reasons Wimbledon is the tournament that every tennis player dreams of winning. It is a tournament immersed in poignant history and traditions. 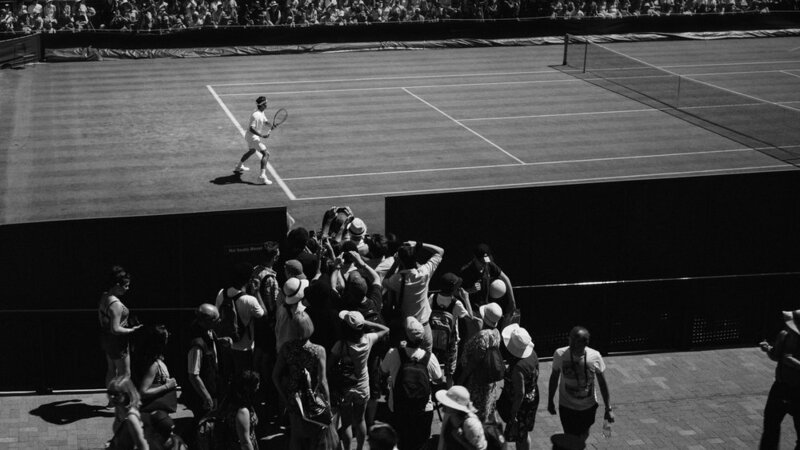 Unlike most other major sporting events, Wimbledon has some of the longest standing brand relationships in the world. Take for example, Slazenger, whose connection with Wimbledon dates back at least 110 years. Slazenger says it is their longest partnership in sporting history. For this year’s tournament they will supply over 52,000 balls. However, I would like to focus on another main sponsor, Rolex at Wimbledon, which I believe is a partnership built on the quest for perfection. In 1978, Rolex became part of Wimbledon’s great tradition, joining the tournament as the official timekeeper. It was a fitting partnership: Wimbledon represented excellence and is a sports competition of the highest order, so as a result Rolex has come to stand for precision, performance and the unfaltering pursuit of perfection. There are very few brands which fit together so well as these, they both have come to be synonymous for tradition and quality. “It’s wonderful that Rolex and Wimbledon have been partners for so long, They are both the perfect embodiment of grace and excellence". Rolex’s decision to focus its marketing in the sporting field was in fact a very wise decision. Sports surpass a number of language, social, cultural, and even ideological barriers. This means that brands associating themselves with sports can reach a very large audience that shares a common passion, without regard for the usual socio-political barriers. 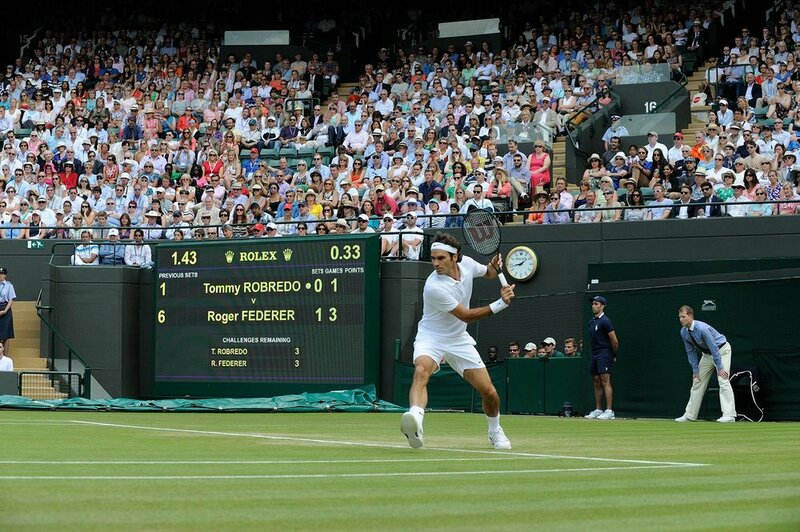 Rolex’s wide audience reach is further amplified by the fact that Wimbledon is broadcasted on the television. It has exceptionally high viewing rates which also allows the brand to be seen worldwide. Rolex also knew the important role of using sporting ambassadors in their marketing strategy. 38 years ago, they formed their first relationship with tennis players and still continue to maintain a large number of tennis ambassadors. Roger Federer, Justine Henin, Grigor Dimitrov, Ana Ivanovic, Jo-Wilfried Tsonga, Belinda Bencic are just a few of their ambassadors. These players have thousands of followers on social platforms which maximises their marketing potential. In terms of sporting events, Wimbledon is seen as one of Britain’s most loved and regularly viewed events. All sponsorship appears to be built on mutually beneficial agreements which creates tremendous exposure for brands which raises global awareness. We live in a highly digitalised world which is leading to new innovations in social media and on broadcasting platforms, which will allow Wimbledon to uphold its traditional image but will also future-proof the growth of its partnerships to a wider global audience. If you would like to find out more about how we can help you with any sports marketing campaigns please get in touch.